While it is naive, on one hand, to think that trusting in God makes all of our problems go away — Christians have many of the same problems that unbelievers do because they share the same mortal flesh, on the other hand it's true. If we trust in God, we believe our work stands or falls in his hands and that ultimately we will share in his victorious and glorious presence. It means our lives will not be lived in vain. 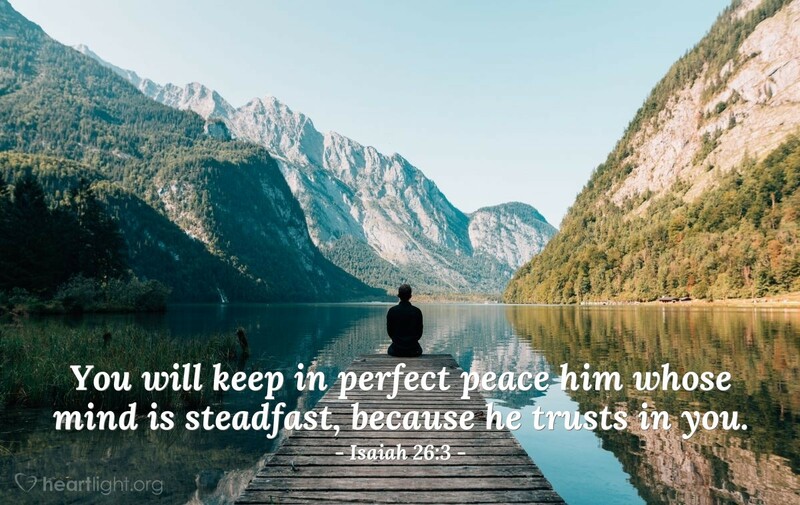 That's not just confidence; it's the foundation of true peace — life lived to its fullest and richest, knowing that every moment of life matters and we don't need to be anxious about its results when we rest our life in the hands of the LORD. Almighty Father of Peace, thank you for giving me the assurance that my life will not be lived in vain. May I share that peace with others today. In the name of Jesus, my Prince of Peace, I pray. Amen.